You Don’t Have to Leave Your Job to Become the CEO of Your Destiny – Whats your superpower? This quote by Maynard Webb, bestselling author of the book *Rebooting Work* is truly inspiring. His book focuses on how work models developed a century ago are out of sync today, and that we should change our old mindsets about work and embrace a mindset that will prepare us for The Age of Entrepreneurship. “The new world of work is about accepting responsibility and taking initiative” says Maynard – in other words – you need to become the CEO of your own destiny. Muhammad Yunus, Nobel Peace Prize Winner and microfinance pioneer casts this light “All human beings are entrepreneurs. When we were in the caves, we were all self-employed…finding food, feeding ourselves. That’s where human history began. As civilization came, we suppressed it. We became “labor” because they stamped us, “You are labor.” We forgot that we are entrepreneurs. How does that feel? Can you begin to consider that you were born an entrepreneur? However these are very uncertain times. Nothing is “sure” anymore. Today you’re a senior manager at a firm – tomorrow a bigger better firm buys out the firm you’re working for – new leadership takes position – new vision takes the place of what was ; after a review of staff “acquired” – “they” decide that YOUR SERVICES are no longer required. Or you might be working for a company that’s continuing to lose money and can no longer manage loan repayments just so that they can keep the staff on payroll and without a moment’s notice – you’re on the breadline. Are your goals worthy of your life? Are you chasing goals at the expense of your own inner well being? 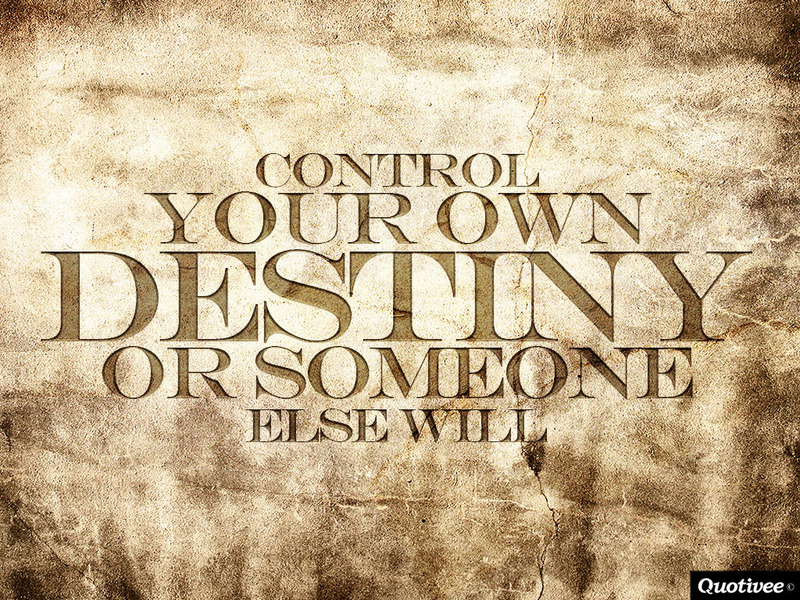 As the CEO of Your Own Destiny you need to become accountable for your own advancement. You need to stop relying on hope as a strategy; it is about as effective as a method for birth control. Jump into the driver’s seat of your life and start steering in the direction of where you think you should go next. Next postWhat is Your Amazing Unfathomable Gift?